Manchester United are reportedly on the cusp of appointing Ole Gunnar Solskjaer as their permanent head coach after impressing with the club on an interim role. Manchester United have reportedly decided to step up their pursuit of Napoli defender Kalidou Koulibaly ahead of this summer's transfer window. United are rumoured to be ready to pay £90 million to sign the centre-back. Former Manchester United and Chelsea boss Jose Mourinho has indicated that he was never interested in returning to management with former club Real Madrid. 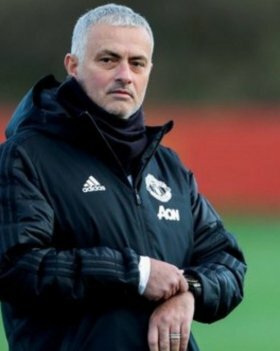 Former Chelsea and Manchester United boss Jose Mourinho is reportedly being lined up as the next head coach of Paris Saint-Germain after missing out on the Real Madrid role. Manchester United are prepared to hold discussions over a permanent contract with Ole Gunnar Solskjaer shortly after the weekend's league game at Arsenal. Former Manchester United and Chelsea boss Jose Mourinho has opened the possibility of rejoining Real Madrid as their new head coach during the summer. Belgium international Romelu Lukaku is said to favour a move to Juventus to link up with Cristiano Ronaldo, should Manchester United decide to part ways with him. Sir Alex Ferguson has reportedly urged Manchester United to appoint Ole Gunnar Solskjaer as the permanent head coach following his impressive guidance over the past two months. France manager Didier Deschamps has been impressed with the progress of Anthony Martial through the current campaign and has hinted that the attacker could earn a call-up for the forthcoming internationals. Inter Milan are reportedly prepared to make an approach to sign Romelu Lukaku from Manchester United, should Mauro Icardi pursue a fresh challenge away from San Siro in the summer. Argentine goalkeeper Sergio Romero is reportedly prepared to snub interest from elsewhere to stay put with Manchester United next term.